The UK inheritance tax threshold will be increased to £1m (previously £650,000) for married couples by 2017. This increase in the tax free threshold makes the Irish capital acquisitions tax thresholds pale in significance. This further highlights the need for careful planning in respect of making gifts or leaving assets to Irish residents. • Corporation tax – the rate of corporation tax in the UK, which currently stands at 20% for most companies will be cut to 19% in 2017 and 18% in 2020. • National insurance – Employers will benefit from £3,000 off national insurance contributions in respect of their employees (currently only £2,000 is allowed)..
• The annual investment allowance which enables businesses to get immediate tax relief for purchases of plant & machinery will remain at £200,000. Again this is very favourable in comparison to the position in Ireland where tax relief for the purchase of plant & machinery is only available over 8 years. • Income tax – the personal allowance in the UK will be raised to £11,000 from 6 April 2016 (currently £10,600) and the level at which individuals pay tax at 40% will be raised from £42,385 to £43,000. • Dividend income – for individuals who receive dividends from companies, from April 2016 the Dividend Tax Credit will be abolished and a new Dividend Tax Allowance of £5,000 a year will be introduced. The new rates of tax on dividend income above the allowance will be 7.5% for basic rate taxpayers, 32.5% for higher rate taxpayers and 38.1% for additional rate taxpayers. • Rental income – From April 2016, the Wear and Tear Allowance will be replaced with a new relief that allows all residential landlords to deduct the actual costs of replacing furnishings. Capital allowances will continue to apply for landlords of furnished holiday lets. Also worth noting from an individual and a business perspective, is that a National Living Wage, starting at £7.20 and rising to £9 an hour by 2020 will replace the £6.50 minimum wage. 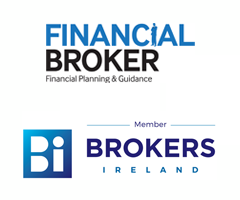 If you require any further information or advice in respect of the above measures, please do not hesitate to contact our office on info@mlmgfinancial.ie or by phone on 074 93 21420.